Day of the Dead (Dia de Muertos) is celebrated today and tomorrow in Mexico and other parts of the world. The day celebrates all those who have died. Families and friends bring flowers to grave sites. They prepare festive meals and remember their loved ones by creating ofrendas, alters of offerings to their departed. 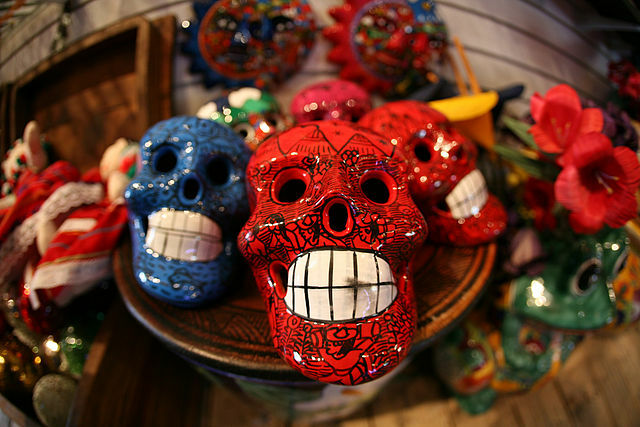 Children can learn more at a fascinating site: Day of the Dead. Algeria celebrates Revolution Day, remembering its 1954 revolution against France. The country, located in Northern Africa, is about 3.5 times the size of Texas. Over 38 million people live in Algeria, and Algiers is the capital. Antigua and Barbuda celebrate Independence Day. The two islands gained their independence from the United Kingdom in 1981. However, the two-island nation still recognizes Queen Elizabeth II as their monarch. According to The CIA World Factbook, the combined area of the two islands and smaller islands under their control is about 2.5 times the size of Washington, DC. Located in the Caribbean, southeast of Puerto Rico, their tropical climate attracts tourists. Tourism accounts for about 60 percent of their income. About 90,000 people call the islands their homes, and Saint John’s is the capital. How can children celebrate this holiday? They can peel, slice and sauté some plantain…yum! Great Books by Great Authors! National Authors’ Day honors all authors. The custom dates back to 1929. 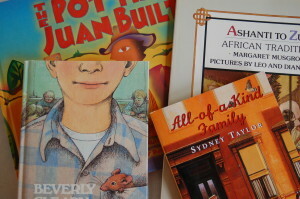 Each child could pick out his/her favorite author and present a small biography about that person. Children could also read Eileen Christelou’s What Do Authors Do? 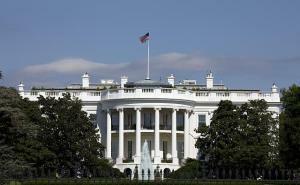 The White House was ready for occupancy in 1800. Building had started in 1792, and John and Abigail Adams were the first President and First Lady to occupy the building. United States Weather Bureau began recording weather observations in 1870. Children can visit a great website regarding weather at: https://www.weather.gov/owlie/. Prime Meridian Day Is Today! Prime Meridian was formally agreed to in 1884. Twenty-five countries met to establish uniform lines of longitude and resulting time zones. Prior to the agreement, fourteen different prime meridians were recognized. The Prime Meridian and other lines of longitude, as well as lines of latitude, help us know where we are on earth and where we are in relation to others. Stephen Crane (born Newark, New Jersey, 1871; died Badenweiler, Germany, June 5, 1900) was an author. He is especially known for his short stories. His The Red Badge of Courage was written about the Civil War. He died at an early age from tuberculosis, made more serious by a bout of malaria fever. Children can read some of his works at: Project Gutenberg. Hilary Knight (born Long Island, New York, 1926) is a children’s author and illustrator. He has illustrated more than 50 books and has written more than nine books. He is best known as the illustrator of the Eloise series. Children can visit his website at: Hilary Knight. Crawford Williamson Long (born Danielsville, Georgia, 1815; died Athens, Georgia, June 16, 1878) was the first doctor to use ether in an operation performed in 1842. North Dakota became the thirty-ninth state of the United States in 1889. The state ranks seventeenth in area and forty-seventh in population. Its nicknames include the Sioux State, the Peace Garden State, and the Flickertail State. Bismarck is the state capital. North Dakota is the nation’s leading producer of wheat, and it has large reserves of lignite coal and natural gas. Children can learn more at: North Dakota. South Dakota became the fortieth state of the United States in 1889. The two states’ names stem from a Sioux word dakota, meaning allies. People first came to South Dakota in search of gold. Then raising cattle became a means of living. Its nickname is the Coyote State, and Pierre is the state capital. Two important attractions are the Badlands National Park and Mount Rushmore National Monument. Children can visit the America’s Library site at: South Dakota.